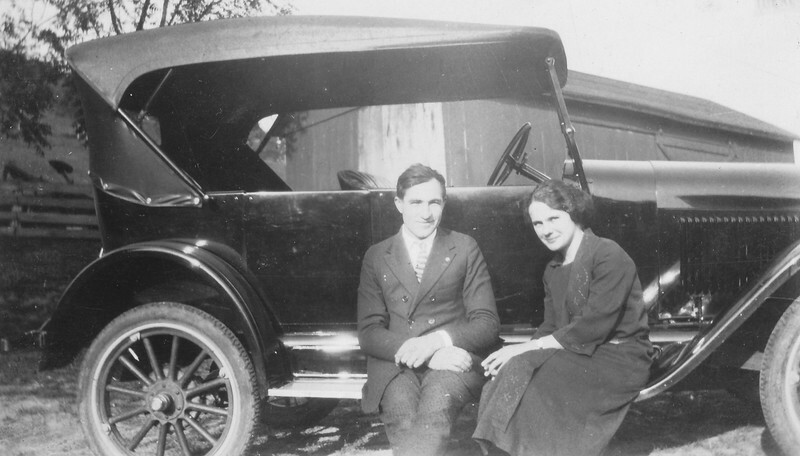 Joe and Vernie Von Arx with their Chevy touring car. Very pretty photo of Vernie! And I love that car!